Orchid Myst is easy to use and provides total care! 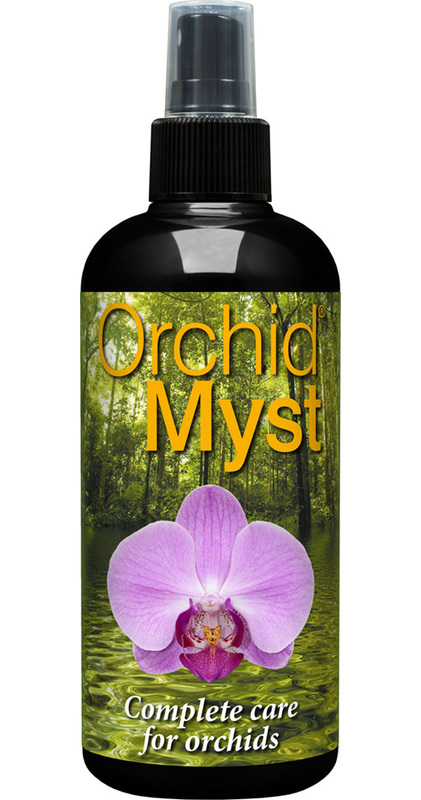 Orchid Myst is a nutrient solution containing the elements mimicking their natural habitat. 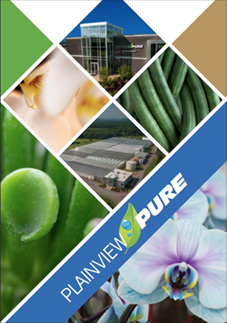 It contains a complex profile of organic growth enhancers and insect repellents that will help keep pests away from the plant. Most problems with orchids are caused by improper watering and feeding of the plants. In many cases, the hard tap water available is unsuitable for orchids because it has high levels of minerals and alkaline. It also contains residual chlorine which is toxic to plants. It can be hard for people to know when to water their plants. An over-watered plant will have soggy roots lacking sufficient aeration for good growth. It is also difficult to decide when to feed orchids and at what strength to apply the feed. Most orchids in the home are underfed or overfed. Orchid Myst solves all these problems. • It can be sprayed on the potting mix allowing it to trickle down through the moss as it would in its natural habitat. This method avoids any risk of water logging and ensures that the solution is delivered in a highly oxygenated state. • It can be misted gently over the foliage, supplying significant nutrition to the plant and helping to recreate the humidity that orchids crave. • It can be sprayed onto exposed aerial roots. These fleshy roots are designed to absorb water and nutrients trickling down from above. The Orchid Myst is easy to use and easy to remember: just a few squirts every few days! Orchid Myst contains nutrients from organic and pure mineral sources,organic plant acids for extra vigor and health and natural insect repellants and essential oils for shiny glossy leaves. Lastly, Orchid Myst is easy to use and provides total care! First spray the bottle downwards towards the bark and repeat several times around the surface area. Carefully mist any exposed roots and mist all the foliage. Repeat every 2-3 days throughout the growing season. Every month flush the entire pot with tepid water. Orchid Myst is available in retailers like Kings Supermarkets, Whole Foods, and local florists and greenhouses near you!